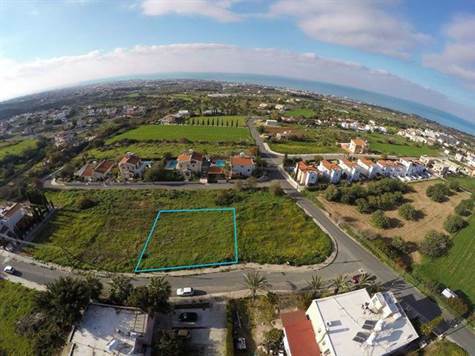 Tala, Paphos, Cyprus - The plot is situated in a quiet residential zone in the popular village of Tala within walking distance to the Square and local amenities. A planning permit was previously issued and approved for a detached villa of 248 sqm covered area plus basement and the floor plans are shown for information purposes. The plot is on the border of a 40% and 90% zone, so should the zone change in the future, it would be possible to build two properties. Plans exist for this scenario which can be provided on request.